Backbeat is the story of how the Beatles were founded - when John Lennon, Paul McCartney, George Harrison, Pete Best and Stuart Sutcliffe embarked on their journey from the famous docks of Liverpool to search for success in the seedy red light district of Hamburg, Germany. The compelling triangular relationship between the band's original bassist Stuart Sutcliffe, the German photographer Astrid Kirchherr with whom he fell in love, and his best friend John Lennon, became an intrinsic part of The Beatles' story - and placed them on an unstoppable trajectory onto the world stage. 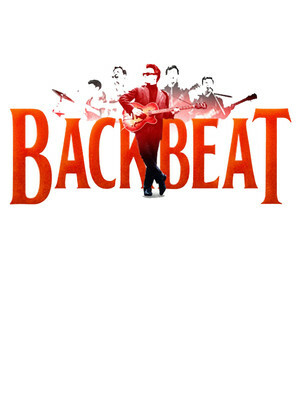 Directed by the award-winning David Leveaux, Backbeat features all-time rock 'n roll classics including Love Me Do, PS I Love You, Twist & Shout, Rock 'n Roll Music, Long Tall Sally, Please Mr Postman and Money live on stage as performed by The Beatles. Backbeat contains strong language & scenes of an adult nature. Parental guidance is advised for those under the age of 12. Based on the Universal Pictures film by Softley, Michael Thomas and Stephen Ward. Sound good to you? Share this page on social media and let your friends know about Backbeat at Ahmanson Theater. Please note: The term Ahmanson Theater and/or Backbeat as well as all associated graphics, logos, and/or other trademarks, tradenames or copyrights are the property of the Ahmanson Theater and/or Backbeat and are used herein for factual descriptive purposes only. We are in no way associated with or authorized by the Ahmanson Theater and/or Backbeat and neither that entity nor any of its affiliates have licensed or endorsed us to sell tickets, goods and or services in conjunction with their events.